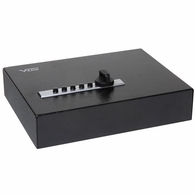 V-Line Handgun Safes - All on Sale at Dean Safe! 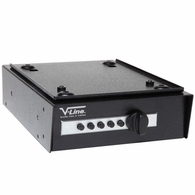 V-Line products are 100 percent American made in the USA. 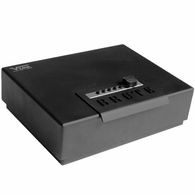 They design, manufacture and distribute quick access, high quality security cases and cabinets. 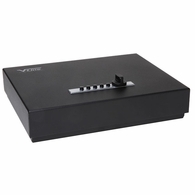 Business originated from a demand for conveniently securing valuables with easy accessibility. 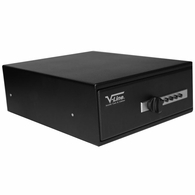 Over the last several years, V-Line's product line has evolved from small personal-sized cases to built-in security cabinets. 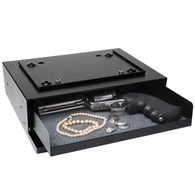 Since their inception, V-Line pistol boxes have been the choice for law enforcement and other government agencies nationwide and responsible citizens concerned with security. 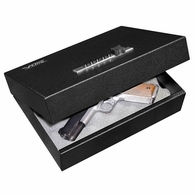 I'm proud to carry the American-made products of V-Line Industries.